Further to the announcement made on 14th March, redT energy plc (AIM:RED), the energy storage solutions company, is pleased to announce it has signed heads of terms to partner with Statkraft, Europe’s largest generator of renewable energy, to provide a fully financed ‘solar plus storage’ solution to UK commercial and industrial (‘C&I’) customers. 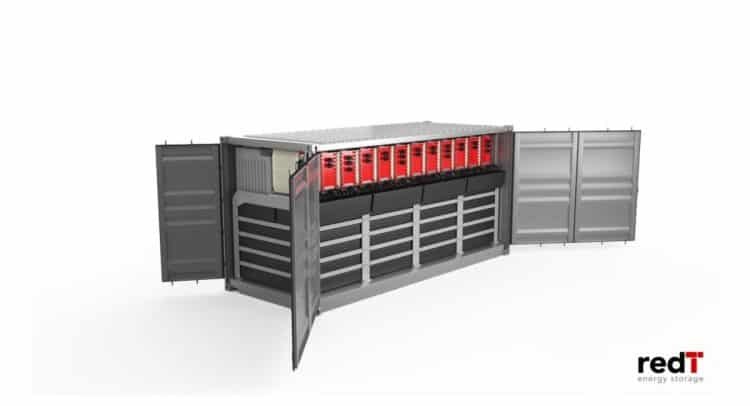 This is the first time a solar plus storage product, financed under a Power Purchase Agreement (‘PPA’) model has been offered to the UK market. As a fully financed solution, UK C&I energy users will be able to benefit from up to 20% forecast savings on their energy costs over a 25 year PPA agreement, by installing solar panels and redT flow machines at their sites, without the need to pay upfront capital. By combining redT’s energy storage infrastructure with a long term corporate PPA for the solar and storage, provided by Statkraft, customers can benefit from energy savings based on maximising the use of low cost solar power and reducing exposure to volatile energy prices. In addition, customers will also be able to access flexibility optimisation services via Statkraft’s in-house Virtual Power Plant (‘VPP’). The initial phase of the partnership will target the deployment of 10MWp of solar PV and 6MWh of energy storage, with the aim of scaling to 100MWp of solar PV and 60MWh of flow machines (800 redT tank units) over the next 3 years. “We are pleased to be partnering with Europe’s leading renewable energy generator and optimisation expert in Statkraft. Together we are breaking new ground in the energy industry with this unique, fully financed decentralised energy solution designed specifically for the UK C&I sector to reduce energy costs. Further to the announcement on March 14th concerning the commencement of the Strategic Review, the Board is pleased to report that discussions with potential strategic investors are progressing well and further information will be provided to shareholders in due course. redT energy plc are experts in energy storage, specialising in the design, manufacture, installation and operation of energy storage infrastructure which creates revenue alongside reliable, low-cost renewable generation for businesses, industry and electricity distribution networks.